Formerly described as a trend phenomenon by its detractors, "Serious Games" have now become more accessible and established. 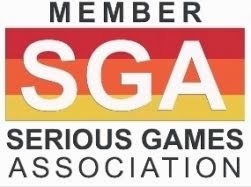 As a proof of its lasting establishment, a school dedicated to the education of soon-to-be "Serious Games" executives just opened (please find also MSU Serious Game Design Masters Program). There is no doubt, 2009 has been a great year for French Serious Games, particularly because of the ministry call made by Nathalie Kociusko-Morizet. For the last three years, the Serious Games Market has been growing, so much that some see in it the main rejuvenator of education and teaching methods. In addition to the small number of pioneers, witnesses of this fast growth, numerous newcomers more or less specialized have invested the field. 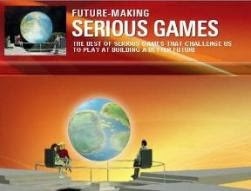 Apparently a new step has been taken with the creation of a Serious Game specialized video game school. Its name: Ludus Academie. Starting in Novembre 2012 in Strasbourg, student from A level to Bachelor degree will be welcome to train to work in the Serious Games segment. Apprentice creators will be able to discover the complete range of techniques necessary to design games: the course programme mixes “high computer technical skills (programming, Artificial Intelligence, game engines,…) with bases on game conception (game & level design) as well as narrative art. A good initiative, "Serious Games" professionals will certainly appreciate to have a student talent pool to recruit from.